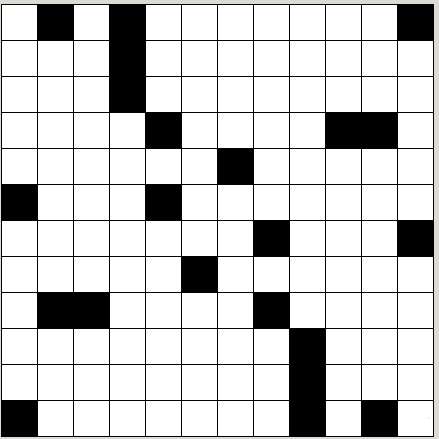 This is a Normal Crossword. For the final answer, you will need to give me something that completes the "pattern". The pattern is for you to find out. And finally, I have given you the grid but no numbering(Can't make everything easy for you fellas). SKOG is very close but they have missed an alternative interpretation of the title. You need to relate the title to a recent event. As SKOG mentioned, EDWARD, WILLIAM, and CHARLES are all members of British royalty. "Royal Affair" refers to the recent royal wedding, featuring Prince Harry. Therefore, the pattern is completed by HARRY. 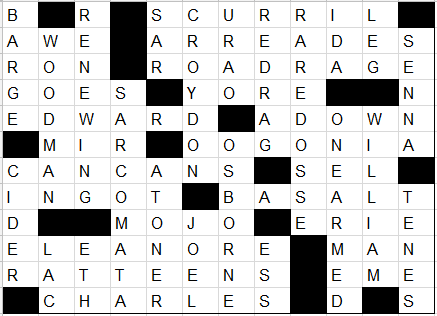 EDIT: ManyPinkHats found that the four most recent royal weddings correspond to the four names earlier, in crossword order. This provides evidence for the pattern. Got the grid mostly completed. Three of the clues have the word "King" or "Monarch" in them, which ties to the title "The Royal Affair". They give the names EDWARD, CHARLES and WILLIAM, which are certainly the names of royalty without their numbers. As noted by another solver (MadJaqk), if we think of this as British royalty, the last King Edward was Edward VIII, the last William was William IV, and the last Charles was Charles II. A monarch whose name only shows up once, like Victoria or Anne. It's possible we've missed something though.